Completed 10th, 10+2, and a Bachelor's degree in Pharmacy. 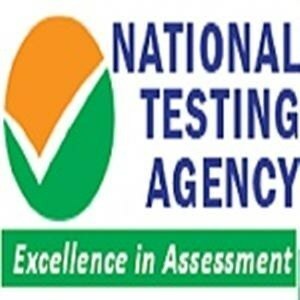 The GPAT 2019 Eligibility Criteria have been announced by National Testing Agency (NTA). It is necessary to know the below eligibility standards for an aspirant who is willing to apply for the GPAT 2019 exam. Eligibility Check: There are various eligibility criteria set for every candidate by the conducting authority. If the candidate fails to fulfill the criteria, then he/she cannot write the GPAT 2019 Exam. GPAT 2019 Registration: The candidates are advised to check the eligibility criteria before they fill the GPAT 2019 Application Form. GPAT Important dates: After checking their eligibility, the candidates must check the Important dates related to GPAT. Nationality: The candidate must be a citizen of India to be eligible for the GPAT 2019 Exam. The candidate should have passed class 10th and 12th examination from any recognized board to be eligible for the GPAT 2019. Candidate must be a Bachelor's degree holder in Pharmacy (4 years) to be eligible for sitting in the GPAT 2019. Final Year Candidates: The candidates who are appearing for the final exams of B.Pharmacy are also eligible to apply for GPAT 2019. However, they must ensure to bring their result during the GPAT 2019 counselling otherwise their registration will be canceled. Age Limit: There is no age limit set for candidates applying for Graduate Pharmacy Aptitude Test (GPAT) 2019.
if i have 154 marks in general category then i qualified in gpat examinatin??? Yes, You are qualified in GPAT. What is the GPAT eligibility criteria regarding Educational qualification? The candidate should have passed class 10th and 12th from any recognised board. The candidate must have a bachelor's degree in Pharmacy (4 years). I am appearing for my final year exam. Am I eligible to take the GPAT exam? Yes, candidates who are in their final year are eligible to write the GPAT exam. I am not an Indian citizen. Can I write the GPAT exam? No, candidates must be Indian citizens to be eligible to write the GPAT exam. Is a pharmacy degree necessary ? Is a pharmacy degree necessary or can i apply from any graduation degree? Since GPAT is a Graduate Pharmacy Aptitude Test the candidate He/ She must be a bachelor's degree holder in Pharmacy (4 years) to be eligible for the GPAT examination 2017.
what is the minimum percentage the applicant should have to apply for GPAT india 2017 exam? The applicants should meet the following conditions to apply. Applicants must have paased high school and intermediate examination from a recognised board with FC as minimum. Applicants must have completed graduation in Pharmacy. Applicants pursuing last year of undergraduate pharmacy course are also eligible to apply for the entrance exam. However, candidates pursuing second year of graduation are not eligible for the exam. What is the eligibility criteria for GPAT? All those who are still appearing for the final exams of B. Pharmacy are also eligible to apply for GPAT 2017. However, they must ensure to bring their result during the GPAT counseling otherwise their registration will be canceled. There is no age limit set for candidates applying for Graduate Pharmacy Aptitude Test (GPAT). What is the Eligibility criteria for M.Pharma? Bachelor’s degree holders in Pharmacy (4 years after 10+2, including lateral entry candidates).